One of the main reasons we chose the EURUSD as the underlying asset of choice to trade this system is because it is the currency pair that is traded the most in the forex market. This ensures that as a binary options instrument, it is available for trading all day long and will have good liquidity, enabling you to get good pricing. You will not have to buy costly bets that will have a greater risk than reward. If you are starting out in binary options trading, this is a great way to start your trading career. This system can be used to trade the Rise/Fall variety of binary options. If your broker does not offer this trade type, you can opt for the High/Low variety or the Touch/No Touch binary option. Most binary options brokers do not provide charts for use in trading analysis, so you have to get the charts yourself. Since the underlying instrument is a forex instrument, you can easily get a chart by downloading an MT4 platform from any of the popular forex brokers like forex.com. 1) MACD (12, 26, 9): This is a momentum indicator that shows the strength of the signal. 2) Parabolic SAR (default settings of 0.02, 0.2): This is a trend signal. Here are the trade rules for this strategy. BULLISH SENTIMENT: In order for the EURUSD to go bullish, we wait for the Parabolic SAR indicator to indicate a buy signal, which occurs when the stars of the Parabolic SAR indicator appear below the price action on the chart. We also wait for the MACD lines to cross from negative to positive. BEARISH SENTIMENT: In order for the EURUSD to go bearish, we wait for the Parabolic SAR indicator to indicate a sell signal, which occurs when the stars of the Parabolic SAR indicator appear above the price action on the chart. We also wait for the MACD lines to cross from positive to negative. 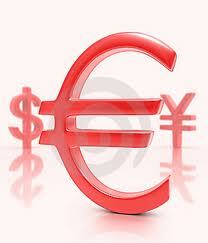 Once you have got a confirmation of the signals, the next step is to choose the binary option trade of your choice. For this example, I will recommend choosing the Touch/No Touch option. This is easier to predict than a Rise/Fall or a range option, as all you need is a touch, (or no touch) to make money on this trade. If you are bullish on the EURUSD, you can decide to purchase a Touch option contract, selecting a strike price to the upside. Make sure you identify the resistance points and keep your strike price below the resistance so you can be sure the price action will actually touch the price barrier you have set. You can then purchase a “No Touch” option contract, selecting a price barrier to the downside. In this instance, you can set your price barrier well below the nearest resistance so the price action has no chance whatsoever of touching your price barrier. Touch – Price barrier between market price and nearest resistance. No Touch – Price barrier below the nearest support. Touch – Price barrier between market price and nearest support. No Touch – Price barrier above nearest resistance.